At the John McGivney Children's Centre (JMCC), we are proud to serve the Windsor and Essex County community by providing family-centred, holistic care and enriching the lives of children and youth with special needs by helping them reach their full potential. We are continuously looking for new and innovative ways to support our clients and their families. Through the support of donors and community partners, we are able to fund the purchase of new and important therapy equipment, enhance our programs and services, tackle new research projects and so much more! At JMCC we strive to be a Centre of hope, support and inspiration for children and youth with special needs and their families. Together, we're working toward a future of participation, acceptance and opportunities. Your support of our Centre is greatly appreciated! Planned gifts: A bequest, life insurance policy, securities, charitable gift annuities, charitable remainder trust and property. Tribute gifts: A wonderful way to thank a staff person at the Centre or to celebrate a wedding, anniversary, birthday, graduation or any other special occasion. Memorial gifts: A meaningful way to honour the memory of a friend or loved one. Plan an event: We greatly appreciate it when Individuals, groups, organizations or businesses run fundraising events in support of our Centre. In order to help us manage our third party event requests and to ensure that event organizers and JMCC both understand and agree, in advance of the event, on our respective roles in the planning and the conduct of the event, we ask that all those interested in hosting an event to benefit JMCC review our Third Party Events Policy and either call 519-252-7281 or email fundraising@jmccentre.ca to discuss your event further. 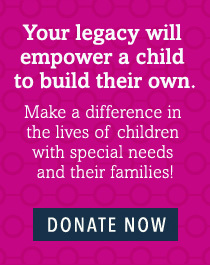 Make an in-kind donation: In-kind donations can include gifts of artwork, prize contributions for events and gifts of equipment to aid in the care and treatment of children with special needs. Please contact fundraising@jmccentre.ca or call 519-252-7281 to discuss any of these options or to bring forward your ideas for supporting JMCC. We could do what we do without the generosity of donors and community partners like you!